Hackathon for building decentralized applications for IoT, AI@Edge, Blockchain apps. Come build interesting decentralized applications that benefit from running close to end users on a decentralized cloud. Top 4 applications will be awarded prizes. You can join as an individual or formulate teams. Your application should be packaged as docker containers and run on DeepCloud AI decentralized cloud. Applicants will get time till Sunday 27th to get their apps running on the cloud. All applicants who complete deploying their applications on the cloud will be given surprise reward. Opening, Hackathon rules, Team formations. All teams should be registered by end of the day on the Hackathon platform. You are free to work in your teams to refine your ideas. Best Overall Application Award will be announced next week from all the running applications. Bonus Award for the best video submission will also be announced next week. Join on DeepHackthon Slack using this link and provide your email. All discussions are handled on slack. Make sure you have Docker installed on your machine. See https://docs.docker.com/install/ for steps to install. Note that Docker requires 64-bit machines for deployment. If you have 32-bit machine or non-pro edition of windows, install Docker Toolbox for Windows instead. If you are new to Docker, then go over the Docker Getting Started guide and build a test container to familiarize yourself. Setup your wallet for smart contract transactions -- MetaMask is a good option for Ethereum. Any application developer familar with docker who can package and run their apps as a docker container. For people joining Hackathon at Conference in-person, please bring your laptops with wifi and Docker preinstalled. See https://docs.docker.com/install/ for steps to install. 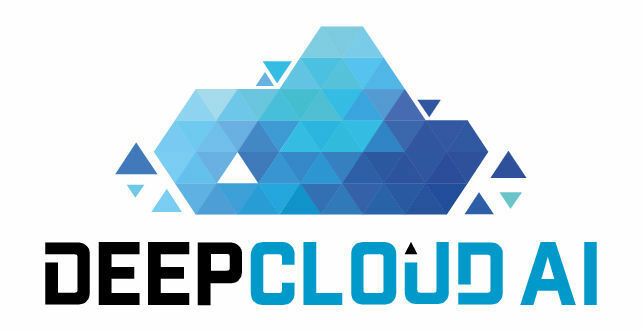 You will build a decentralized application, packaged as a docker container(s) and deployed on DeepCloudAI platform. Application can be for IoT, AI@Edge, Blockchain dApp, Intel SGX secure app. If your application demostrates the benefits of doing computation close to the edge devices or location it will get bonus points. Additional bonus points will be awarded for the best video. To be considered for the award, application must be deployed on DeepCloud AI platform by Sunday 27th EOD. Send the github url, dockerhub repo along with your submission. Online participants must also have to submit a short ~5min video presentation of your project. All video submissions will be considered for the Bonus Video award. Create account on devpost and formulate your teams. Best AI@Edge App category award is for outstanding AI/ML apps that demonstrate the power of doing AI/ML in a decentralized environment. You can demonstrate both model training and model execution aspects.